Amazon has fantastic deals on essential products for your Mac, including Mathematica 5, Corel CorelDRAW 11 Upgrade, Adobe Creative Suite Premium 1.1, Symantec Norton SystemWorks 3.0 for Mac, with $90 worth of mail-in rebates, Aladdin Systems The Big Mix, Microsoft Office 2004 Student and Teacher Edition, Scholastic I Spy Fantasy, The Learning Company Hamtaro: Wake Up Snoozer!, and much more. J&R has great pricing on a bevy of products for your Mac, including Nikon's CoolPix 8700 8MP Digital Camera, Adobe Photoshop Elements 2.0, Archos AV340 MP4 Video and MP3 Music Player/Recorder, Coda MakeMusic/PrintMusic 2004, Creative Labs i-Trigue 2.1 Speaker System, ColorVision Spyder Monitor Calibration Tool, Kensington Wireless Studio Mouse, and much more. Publishing Perfection has money-savings pricing on essential products for all your creative needs, including Eovia Amapi Designer 7, Adobe Creative Suite Premium Upgrade, Human Software OttoPaths, GretagMacbeth Eye-One Display Macromedia Dreamweaver MX 2004, Wacom Intuos2 9"x12" Platinum Graphics Tablet, QuarkXPress 6.0 Upgrade, and much more. Apple Design Award Winners for 2004 Presented Last Night at WWDC. The Design Award presentations were made last evening at Apple's Worldwide Developers Conference in the Presidio Room of San Francisco's Moscone Center West. The event began at 7:30 p.m. following pizza provided to the attendees. Ron Okamoto, Apple's Vice President for Developer Relations, welcomed the crowd who stayed for the pizza, Awards and a session of Stump the Experts. Apple's John Geleysne explained the program and noted that the Design Awards are given in three categories: Applications, Performance Demo and QuickTime Content. Apple's Christy Wyatt and Brian Johns presented the Application Awards, Frank Casanova and Lauren Black presented the Performance Demo Awards and Frank Casanova and Rhonda Stratton presented the QuickTime Content Awards. The award itself is an engraved matte silver cube, about 6" on a side, with a glowing Apple logo on its top side. Award winners also got some great Apple equipment. W: Unison 1.0.2a by Panic, Inc.; RU: SOHO Business Cards 1.0 by Chronos Ltd.
W: Big Bang Chess 1.0 by Freeverse Software; RU: Unison 1.0.2a by Panic, Inc.
BeBoB 2.0 Breakout Box Platform is Out: BridgeCo, a provider of wired and wireless digital home entertainment networking solutions, has begun shipping its BeBoB 2.0 breakout box platform which includes full support for Mac OS X. Breakout boxes enable musicians to record audio from multiple sourcesinstruments, microphones and audio samplesby converting these audio sources into a digital format and transferring them to a computer. Apple Announced Workgroup Cluster Award Winners at WWDC: At yesterday morning's session on Apple and Scientific Computing, Apple's Director of Science & Technology Marketing Dr. Elizabeth Kerr announced the five winners of an Apple Workgroup Cluster computer from hundreds of nominations. We first noted the award program's call for nominations on May 11th. Here is the research that they plan to undertake with their new Workgroup Cluster computer and Apple's web page announcing the results. Apple Store Lowers AirPort Extreme Prices & Drops Low End Base Station: Apple's full-featured AirPort Extreme Base Station and card now sell for $199 and $79 at the online Apple Store, a drop in price of $50 and $20 respectively. The low-end Base Station without the modem and external antenna port is no longer listed on the store and neither is the special Base Station that runs on power over ethernet. However, the latter is still listed on Apple's AirPort Extreme web page. Brief Hands-On Report--New 30" Apple Cinema Display: The new 30", 23" and 20" Cinema Displays are on display at Apple's Worldwide Developers Conference. One can easily find them by following the drool marks on the carpet. While we were blown away by the original 22" Apple Cinema Display and then the 23" Cinema HD Display, we were not ready for the new 30" HD model. Going from the 23" to the 30" is very similar to the leap from a 17" flat panel to a 23", i.e. on the order of a 1/3rd increase in the diagonal measurement. The additional real estate allows one to have three easily-readable documents open side-by-side at one time. To further tantalize the assembled developer crowd, two 30" displays are placed side-by-side at one location. We didn't have a ruler with us but the bezel on the 20" seems about 5/8" wide while that on the 30" model is a bit wider at around 3/4". This is much smaller than the 1.5 to 2" bezels on the current plastic-encased Cinema Displays. Two 30" Displays look very good together and the width of two bezels next to each other seems to get lost in the huge visible real estate encompassed by the two displays. The aluminum looks very good. I was a bit worried from the rumors and bogus mock-ups that it wouldn't look so good since I am a real fan of the look of the current plastic displays, one that harkens back to the Power Mac G4 Cube. The aluminum is business-like as is the Power Mac G5 that the new displays complement. The screen enclosures themselves are box-like which adds to their business-like look. But the stand is very graceful so the displays look really good from an artistic perspective as well. The screens are vertically articulated to the base so the screen may be raised or lowered to the best angle with ease, a major improvement over the more rigid easel-type stand on the current plastic models. The Apple Display Connector (ADC) is dead, at least for now. The new displays come with the more common DVI connector plus connectors for FireWire 400, USB 2.0 and power in a four-headed single cord. 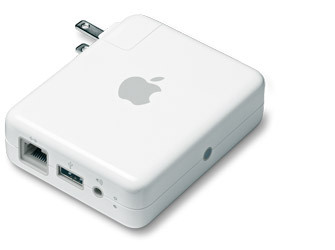 The power brick is very small and white in color, about twice the size of a PowerBook AC adapter in length and half again as wide. The real news is how bright the new Displays are. The 20" model has been the brightest so far, brighter even than our own 23" Cinema HD Display, but the new 30" model is the brightest of the three. We had to turn the brightness on the 30" model down to about 50% of its maximum in the well-lighted Level 2 foyer of the Moscone Center West to keep it from hurting our eyes. In contrast, we keep our one-year-old 23" Cinema Display at maximum brightness even in a slightly darkened room. The new 30" Cinema HD Display with its 2560x1600 resolution is terrific and so are the 20" and 23" models, of course. While the lust and utility factors both peak with the new 30" model, the tariff is equally steep. At $3299 the new 30" is less than the $3499 at which the 22" and 23" Cinema's debuted but an additional $599 is needed for the new Nvidia graphics card required to run it so the total tariff is $3898. This is probably about the same in constant dollars as the other two. New Apple Promo--"Great Looking Deal." Apple launched a new Apple Store promo on the Hot Deals page titled, "Great Looking Deal." The way is works is simple: Purchase a Mac and an HP DeskJet printer, an HP Photosmart printer, or any HP all-in-one product between June 27, 2004, and September 25, 2004 and get up to $99 back by mail. This offer is available from Apple or a participating Apple Authorized Reseller. Apple Web Page Previews Mac OS X Server 10.4 "Tiger": While Steve Jobs did not mention the server software in his keynote, Apple has posted a sneak preview web page on the upcoming product and issued this press release. While the price of the client version of Tiger has not been announced, the server version will cost $499 for a 10-user license and $999 for an unlimited license. Simply go to http://www.konfabulator.com, and download a copy of Konfabulator today to see what the fuss is all about! Want more than the default Widgets? Visit the Widget Gallery with over 650 user contributed Widgets that range from amazingly addictive games to incredibly useful utilities. [Update 5p EDT] On-Scene Report--Apple's WWDC 2004 Keynote: We showed up at the Moscone Center West nearly a couple of hours before the 10 a.m. EDT keynote to get breakfast with the hope that seating would be available on arrival, a civil way to treat people, especially those who have paid over $1500 to attend a conference. No dice--looks like a repeat of the last minute mass entry of last year. However, it seems that most of the conferees had already arrived and had seated themselves all over the floor having a blast. At each end of the Level 2 floor were black ceiling-high posters featuring Mac OS X 10.4 "Tiger". They contained an image of tiger fur on a black disc emblazoned with a large silver 'X" and with headlines reading "Redmond, we have a problem. ", "This should keep Redmond busy. ", "Introducing Longhorn." and Redmond, start your photocopiers." Longhorn is the new Windows OS that will come out in 2006 or 2007. Okay, off to check out the internet connections. As might be exected, the AirPort wireless connections were swamped by those waiting to get in but we found a wired connection in back that was available. After doing a bit of work, we returned to the front and waited for security to allow us to proceed to Level 3. At 9:38 a.m. PDT we were allowed to go upstairs to Level 3 and the Presidio Room. The posters poking fun at Microsoft were also on Level 3. We found an aisle seat in the center section about 2/3rds of the way back. The latest arrivals who did not find seats in the huge Presidio Room were shuffled off to one of three additional rooms with large projection screens. No AirPort connections were available in the Presidio during the keynote address. Steve Jobs took the stage at 10:01 a.m. to the usual roar of applause. He mentioned that there were over 3500 developers present, a 17% increase, from 44 countries. He started out by covering recent events like the openings of the latest retail Apple Stores (including the 6-floor Apple Store in Tokyo), iTunes 70% market share of legally downloaded music and the new European iTunes Music Store which allows Apple to reach 62% of the worldwide music download market, AirPort Express and the iPod integration into BMW's 3-series, X-3, X-5, Z-4 and Mini Cooper. Then Steve Jobs moved to the Power Mac G5s, noting that the full line-up is dual CPU and has reached 2.5-GHz in speed. He rhetorically asked what happened to the 3-GHz speed he promised last year and answered it by saying that the whole industry hit the speed wall with the 90-nm process not yielding as much of a speed increase as previous die downsizes had produced. He noted that Intel went from 3.2-GHz to 3.6-GHz while IBM went from 2.0 to 2.5-GHz, a better proportional gain especially since the PowerPC RISC CPUs are faster for many operation at the same clock speed than Intel's CISC CPUs and, even better, because one gets dual processors with Power Macs. Jobs said he was disappointed that IBM didn't get to 3-GHz but he's happy relative to the rest of the industry. New Apple Cinema Displays were introduced next. Cased in aluminum with a bezel that looks narrower by 2/3rds, the new displays reach an astounding 30" diagonally along with the 23" and 20" models. The thin bezel allows two monitors to be placed much closer together than before. The back of the displays have 2 FireWire 400 connectors and 2 USB 2.0 connectors. The new displays have a single cord but they do not have an ADC connector so it is multiheaded with DVI, FireWire 400, USB 2.0 and power connectors--yes, a power brick is needed. They can connect directly to a recent PowerBook. Without the ADC connector they can also work with a Wintel PC, increasing Apple's potential market. The 30" model with a 2560x1600 resolution requires a new graphics card with dual DVI connectors, the Nvidia GeForce 6800 Ultra. In fact, this new graphics card has four DVI connectors so it can drive two 30" displays. The 20" and 23" Cinema displays cost $1299 and $1999 respectively and will be available in July. The 30" display costs $3299 and will be available in August along with the $599 NVidia 6800 Ultra graphics card. The 17" Studio Display will still sell for $699 and was not redesigned. Here is Apple's press release. Finally, Steve Jobs presented "Tiger" the fifth release of Mac OS X. It is due out in the first half of 2005, a year or more before the next version of Windows called Longhorn, with over 150 new features. Steve Jobs previewed several of them. Tiger will run 64-bit and 32-bit processes so it will run applications designed to run at 64 bits. This is especailly helpful for processing huge images. Xgrid (inexpensive clustering) will be built in as well as even better compatibility with the Windows world. Spotlight is a search engine adapted from iTunes and it is super fast and automatic. It is applied to the operating system and applications to find things. It is slated for at least the Finder, Address Book, Mail and System Preferences. One can create smart folders in the Finder, smart groups in Address Book and smart mailboxes in Mail. H.264 is the latest codec standard based on MPEG4 that provides higher (4X) definition at the same data rate. It will be included in QuickTime with Tiger. Safari RSS will have RSS (really simple syndication) built in. If one visits a web site with RSS, Safari tells you and you can view the RSS feed in lieu of the HTML web page. One can also search all RSS feeds on the web for up to the minute information. Panther has Core Audio and that has led to incredible professional audio applications. Tiger will add Core Image and Core Video for better profesional graphics and video applications. It is similar to the technology introduced recently in the Apple application Motion. They will include over 100 filters and they use the graphics processor rather than the CPU. .Mac has over 500,000 subscribers but that could go up with Tiger's release. Tiger will have the ability to sync many more applications via .Mac among several Macs. Dashboard is Expose for widgets, according to Steve Jobs. Things like the calculator and other utilities can appear or disappear from the screen just like Expose in Panther does with windows. There is a floating palette to select others and which ones to appear automatically. Automator is a fabulous tool for easily implementing AppleScripts. Workflow applications can be built easily and quickly. Finally, iChat will go multi-party. Up to 10 people will be able to use iChat via audio at the same time for audio conferencing and 4 people will be able to video conference at the same time. The new iChat will use the H.264 codec for even better video. When four people video conference, the other three are shown in one window along with yourself. Here is Apple's press release on Tiger. Apple's WWDC 2004 Starts Today--Stay Tuned for Our Keynote Report: Apple's Worldwide Developers Conference 2004 at San Francisco's Moscone Center West will be kicked off today at 10 a.m. PDT with a keynote address by the CEO Steve Jobs--who else? We know that he will present a preview of Mac OS X 10.4 "Tiger" but what else? Come back later for our on-scene report following the keynote. We are quartered at the Downtown San Francisco Marriott near the Moscone Center West, Starbucks and the flagship SF Apple Store. We have already registered, picking up our conference t-shirt, backpack and official program. There's also a 10% discount on SF Apple Store purchases for attendees and a 25% discount on Apple software at the Apple Developer Connection booth. From the program maps, Moscone West is much better set up for wireless internet than last year with at least 18 AirPort Extreme Base Stations. There are also some 13 wired stations with multiple ethernet wired connections. We are pleased to see that Jamba Juice (an outstanding fruit smoothie) will be available to attendees during the day along with breakfast and lunch. Last Call for ADHOC/MacHack Session Papers: There is still some room in the schedule for Macintosh developers & enthusiasts who want to talk about the newest technology, practical applications of the fun things learned at Apple's World-Wide Developers Conference, or just a neat and fun development project of interest to fellow developers! This means a wide swath of topics are eligible for presenting, many of which aren't specific to Mac OS X. Please contact the sessions chair, Mike Bentley, and we will walk you through the process. Feedback sessions for different companies and organization. e.g. we have a "Bash Slashdot" session with Rob Maida (CmdrTaco) scheduled! "OS X Overriding Overview" from Jonathan Rentzsch will teach developers how to bend Mac OS X to allow code injections & overriding while keeping the system stable. [He] said the same chip that IBM uses for its desktop machines can also be used comfortably within future PowerBook notebooks through a power-management technique called "PowerTune." Feral Interactive Weekend Game Report: During the week Feral released a few patches for two of their games, Total Immersion Racing and XIII. Their demos have also been updated and will being coming online over the weekend at various download sites. Here are the patches for XIII and Total Immersion Racing. iTrip OS X Software v2.0 is Out and available for download from Griffin Technology. B&H has fantastic deals on essential products for your Mac, including the Panasonic Lumix DMC-FX5 4.0MP Compact Digital Camera, Samsung Digimax U-CA3 3.2MP Digital Camera, SanDisk 512MB Ultra II Secure Digital (SD) Card, Hi-Touch HiTi 730PS Dye Sublimation Printer with Print Controller, Epson Stylus Photo 2200 Tabloid Color Inkjet Printer, Canon CanoScan 9900F Flatbed Scanner with Transparency Scanning Capability, and much more. Apple's World Wide Developers Conference 2004 Starts Monday--Our Track: The regular sessions of Apple's WWDC 2004 will be kicked off Monday with Steve Jobs' keynote address. He will present Mac OS X 10.4 "Tiger" to the attendees at 10 a.m. in the Presidio Room of San Francisco's Moscone Conference Center West. What else will he cover? We attended last year and filed daily reports beginning with the keynote address. Steve Jobs presented Mac OS X 10.3 "Panther" (currently at v10.3.4) and announced the impressive Power Mac G5 and iSight camera with iChat DV. Each attendee received a free iSight and a developer preview edition of Panther. Some of us had a great time using our iSights among ourselves at the WWDC--now we own several and use them to communicate daily with most of our business associates and members of our immediate family in other cities using either iChat AV or iVisit. Many loaded Panther on their PowerBooks at WWDC. The awesome Power Mac G5 was available to see and try. Will Steve Jobs announce any new Apple hardware this year? As usual, rumors are running rampant but we will have to wait until Monday to find out. Monday: Keynote, Mac OS X SotU; Enterprise IT SotU; Mac OS X Server Update; Exhibit Fair. Tuesday: Apple & Scientific Computing; HPC Technology Update; Intro to Eclipse; Intro to Xcode; Modern Networking Using CFNetwork; Design Awards. Wednesday: Spoken Interface; Xsan in Depth or HPC System Design; Distributed Computing Made Easy with Xgrid; Using AppleScript Studio; Third-Party Enterprise Backup Solutions; Birds of a Feather--HPC, Games, Home Automation. Thursday: Mac OS X Printing; Developing Accessible Applications; Integrating Mac OS X with Heterogeneous Networks; Xserve Deployment; Apple Campus Bash. Did we miss something important? Check the sessions and let us know. Inexpensive Macs for His Students: In today's View From the Classroom column, teacher Steve Wood describes his efforts over the years to fix up older Macs for his students to improve their education. Read today's column to find out how he did it and the results. Steve has retired from his teaching job. • "View Frame Source" correctly displays the frame's html instead of that of the frame set. Aspyr's Battlefield 1942 Mac Coming at End of this Month: Aspyr Studios has just put the finishing touches on Battlefield 1942 Mac, and it should be shipping to stores towards the end of June. The game has full compatibility with PC players, letting you play one of the most popular online games in recent years with all of your friends. Battlefield 1942 drops gamers directly into the heat of battle during World War II. Players perceive the war from the four main fronts: Pacific, Eastern Europe, Western Europe, and Northern Africa. Fighting on land, in the sea, and in the air, the game includes 16 famous battle sites such as, Omaha Beach, Stalingrad and Wake Island. With the ability to control more than 35 authentic Axis and Allied vehicles and select from five distinct character classes, players are faced with incredible choices in their plan of action. Players have dozens of options in vehicles and weaponry to exert their superior power and defeat the enemy. Choose from fighter planes, dive-bombers, or heavy bombers to gain the edge in the air. Take control of the sea with battleships, destroyers and landing craft. And, prove land dominance with a range of armored vehicles. Of course, sidearms are essential to any successful combat mission, and Battlefield 1942 provides gamers with authentic World War II choices: sniper rifles, sub-machine guns, rocket launchers, and much more. Adobe Photoshop CS Upgrade for $169 Ends July 15: This special offer for the Mac or PC version of Adobe Photoshop CS Upgrade also includes a free book The Photoshop Show Starring Russell Brown. Mr. Brown is Adobe's creative director. Apple's European iTunes Music Store Big Hit, Sells 800,000 Songs in First Week. According to Apple, music fans in the UK, France and Germany have purchased and downloaded more than 800,000 songs from the iTunes Music Store since its launch one week ago, with more than 450,000 sold in the UK alone. "After selling over 800,000 songs during its first week, iTunes is Europe’s top online music store," said Steve Jobs, Apple’s CEO. "In the UK alone, iTunes sold more than 450,000 songs in the last week16 times as many as OD2, its closest competitor." H.264 Advanced Video Codec Ratified to be Used in MPEG4 and Future QuickTime Versions: Apple announced that the DVD Forum has ratified the H.264 Advanced Video Codec (AVC) to be included in the next generation High Definition (HD) DVD format. The H.264/AVC codec was jointly developed by the Moving Picture Experts Group (MPEG) and the International Telecommunication Union (ITU) and has been ratified into the MPEG-4 specification as the next-generation video codec. H.264/AVC is based on open standards and will ship in Apple’s QuickTime software in an upcoming release next year. "Apple is firmly behind H.264 because it delivers superb quality digital video and is based on open standards that no single company controls," said Philip Schiller, Apple’s senior vice president of Worldwide Product Marketing. "QuickTime 6 has already topped 250 million downloads, making it one of the most successful media standards ever, and we will be adding support for H.264 to QuickTime next year." Rep. John Doolittle, a California Republican, held up an Apple Computer Inc. iPod and said technologies such as the iPod don't make sense if consumers aren't allowed to copy their CDs to the iPod. Apple Posted New Article "The Benefits of HIToolbox: The Evolving Widget Set:" Carbon developers are always looking for easier ways to manage their interface controls, and the new HIView toolbox makes life easier for them in several ways. The Apple Developer Connection has published an article to learn how to get started with HIView control types, which bring Carbon developers significant improvements in control management, drawing, and custom controls. Apple User Group Leadership Conference Nearing--Register Soon: Time is running out to register for the User Group Leadership conference, coming to Boston on July 12. Need an extra incentive? Register by June 25 and get an event shirt. Discounted registration ends July 5 and space is limited, so don't delay. Also don't forget to register for the Adobe Professional Association & User Groups Evening Event, scheduled to follow UGLC. Registration ends July 5. Brief Hands-On Report--Call of Duty 1.4b2 Update: The updater, while still a beta, is available for download from MacUpdate.com. The update contains the files to be installed manually that bring the Mac edition of Call of Duty to version 1.4, on parity with the Wintel version. It also adds Punkbuster anti-cheat support and a new map, Stalingrad, to the Mac edition. We downloaded and installed the 1.4b2 files. Call of Duty launched with no problems, maintaining our preferences, so we played a "few" games. There are many more Wintel servers than were available among just Macs at version 1.3. We were able to play on many servers, those with and without Punkbuster enabled. During 2 hours of play we had one lockup, though, the first we've had with Call of Duty. It happened as we were attacking in Danville and a team mate next to me tossed a grenade. We don't know if it was the server or our game client that caused the problem but we couldn't clear it without holding down the power button to force a shutdown. The offending server was still running when we got back up so it was probably our client. We played servers with friendly fire on and did not run into any servers with people engaging in team killing as we found among Mac servers running v1.3 and reported in yesterday's comparo. Inside Mac Games has great prices on the hottest games for your Mac, including XIII, Tron 2.0, Worms 3D, Medal of Honor: Breakthrough, Call of Duty, X-Plane, Command & Conquer: Generals, Lord of the Rings: The Return of the King, Super Collapse! II, and more. Apple Announced Apple Remote Desktop 2: According to this Apple press release Apple Remote Desktop 2, the second generation of Apple’s asset management, software distribution and help desk support software will be out in July. Along with dramatic improvements in screen sharing performance, Apple Remote Desktop 2 includes more than 50 new features for centrally managing Mac OS X systems. Apple Remote Desktop 2 will be available for $299 for 10 licenses and $499 for unlimited licenses. iPod Seamlessly Integrated in BMW Audio Systems: As we noted previously, Apple and BMW have collaborated to integrate Apple's iPods into BMW's car line up. The new system developed by Apple and BMW enables drivers to seamlessly use their iPod in BMW’s 3 Series, Z4 Roadster, X3 and X5 Sports Activity Vehicles and MINI Cooper by simply plugging their iPod into a cable located in the car’s glove compartment. With the iPod safely located in the glove compartment and powered by the car’s battery, drivers can now enjoy high fidelity sound through their car’s stereo system and control their iPod using the standard buttons on their BMW or MINI steering wheel. Here is Apple's press release for further details. "We evaluated PC-based proposals from other vendors but none came close to delivering either the price, performance or manageability of the Apple Xserve G5," stated a COLSA executive. Hands-On Review--MoHAA Breakthrough vs Call of Duty: Both 3D games were brought to the Mac by Aspyr Media, Inc. Medal of Honor Allied Assault is the oldest of the two but its Breakthrough expansion pack just arrived for the Mac within the last couple of weeks. Call of Duty came out just over a month ago. They are state of the art for first person shooters (FPS) on the Mac and the theme of both is World War II. When we played MoHAA with a pre-release version of the Spearhead expansion pack at last years Apple WWDC, our favorite FPS then was Return to Castle Wolfenstein (which had earlier displaced Unreal Tournament and Quake III Arena). We immediately picked up MoHAA and the Spearhead expansion when it came out and it became our favorite FPS for nearly a year. We were introduced to Call of Duty by a friend who claimed it was far superior to the MoHAA series. We thoroughly enjoyed it and quickly bought our own copy. We only play the on-line multiplayer (MP) versions after learning the controls and maps with a bit of play in single player (SP) mode. We also mostly play the Team Deathmatch game type, although we've played some of each type, including Breakthrough's new Liberation game type. So our comments are on the multiplayer versions from on-line play of mostly the Team Deathmatch game type. Our game rig is an original dual 2.0-GHz Power Mac G5 with the stock ATI Radeon 9600 Pro (our retail version 9800 Pro gave up the ghost 6 weeks ago), 23" HD Apple Display and 1.5GB RAM being fed by cable internet. We're running Mac OS X 10.3.4. We run the games at 1024x768 resolution to keep the frame rate up but go for most of the eye candy: 32 bit color, medium texture, decals, weather, texture compression. We also use RadeonEnabler 1.1 and ATI Displays v4.2.5 to set the OEM graphics card to 2x FSAA and 2x anisotropic filtering. With Breakthough, one can play all the original MoHAA and Spearhead expansion pack maps as well as the new maps added in the Breakthough expansion pack--11 in SP mode and 9 in MP mode. The new maps are of North African and Italian scenes. Italian skins are new and there are a few new skins among American, British, German and Russian soldiers as well but the underlying computer model is or seems the same. Breakthough has italian weapons and also has new vehicles in SP mode. A new game style, Liberation, is included. Fast running, which we like, is a built-in server option rather than a mod. Without fast running, movement in the MoHAA series seems like one is slogging through molasses or deep sand. While we've played Breakthrough for a week, we still haven't played all of the new maps since there are few Breakthough servers and they also cycle through the previous maps as well as the new ones. We've played over half the new maps: Kasserine, Bizerte, Tunisia, Bologna, Palermo and Monte Battaglia. Among them, the street fight in Bologna is our favorite--it is a little more complex than the Tunisia and Palermo maps. Monte Battaglia would give Bologna some serious competition for our favorite if it weren't flawed, at least on most servers, with at least two places where one can walk through the scene's boundaries--one entrance to the tunnel under the lift annd the other outside the main wall. In the new Liberation game style, when one gets "killed" one is imprisioned in the opponents jail until freed by a team member or the game ends with one entire team jailed. We found this to be a very boring game style, like freeze tag or rounds. Breakthrough also seems to have a video flaw or at least a dramatic change from Spearhead that we don't like. When playing the original MoHAA and Spearhead maps via Breakthrough, they appear to be much hazier and distance visibility is significantly reduced in some maps. The difference is easy to see if one switches back and forth between Breakthrough and Spearhead on the same server playing the same game with the same graphics settings. It is most noticeable to us when playing the Flugenhagen map where we have "perfected" play with the sniper rifle. We tried turning off weather effects and ATI Displays OpenGL 3D overrides but the haze effect and reduced distance visibility remained. The really good thing about Breakthrough is that if one is bored with the Spearhead map set, one gets 9 additional maps to master. There are also very few instances of immature jerks who intentionally kill team mates. Unfortunately, the cheats that are increasingly taking the fun out of MoHAA Spearhead, despite server claims to the contrary, also appear to work in Breakthrough. Call of Duty (CoD) is essentially the same game as MoHAA. However, the player models are much more realistic in our opinion. The uniforms (skins) are not customizable as in MoHAA but the models move more realistically and have 3 positions (standing, crouching or prone) rather than 2. We really like the prone position in CoD that is not available in MoHAA. The accuracy of all weapons in CoD is related the player's position and speed of movement and is the highest when in the prone position. CoDs maps are as good as or better than those of MoHAA. Action is much faster in CoD while the MoHAA maps are much more conducive to sniping. Fortunately, there are fewer if any cheats yet for CoD so play is much more fun. The biggest problem with CoD is that most of the servers have friendly fire turned on and they are frequented by immature "children" who engage in massive team member killing for attention instead of choosing a free for all game style and competing equitably. There are far fewer CoD servers than for MoHAA, another disadvantage. All considered, Call of Duty is the better WWII-themed first person shooter 3D game in our opinion. But both keep our aging (hence slowing) reflexes exercised. XIII Demo - Cracked! Every conspiracy has a weak spot... and after overcoming the many fiendish barriers put in our way by dark forces too sinister to name - the XIII demo is finally cracked and waiting for you to download it. The demo contains 2 levels from the full game; the first "The Beach" is also the first level in the full game, where you wake up wondering who, what and where you are, who you were with last night and can you have another one of those drinks.The second "The Military Base" is further on in the full game and in it you have to free General Carrington; the man with the key to your past needs you to find the key to his cell. A quick heads up for European players - the demo is only in english - although we suspect words like "Aaaarghhh" and "Oooomph" do not need a whole lot of translation, don't worry, the full game does play in French, German, Italian and Spanish. Worms 3D - First patch (v1.0.1) wriggles into views. Since the release of Worms 3D in late May - the response both critical and commercial has been excellent. To keep the good Karma flowing, our development partners Zonic have speedily produced a first patch that fixes a few minor glitches that were affecting some multiplayer/network games. Even if you have not experienced a problem so far, it is probably worth downloading and installing the patch - it's only 6MB and you can grab it from here. The Apple Store has huge money-saving deals on brand new and high-quality refurbished Apple products. Featured items include refurbished products such as the iBook G4 800MHz 12" Combo for only $779, PowerBook 12" starting at only $999, PowerBook G4 15" starting at only $1,499, PowerBook G4 17" starting at only $1,999, iPods starting at only $199 and much more. Deals on brand new Apple products include PowerBook G4's starting as low as $1,499. All Apple refurbished equipment meets stringent refurbishment processes prior to sale, and is covered by Apple's one-year limited warranty. What's more, customers can purchase AppleCare Protection Plans to go along with their refurbished equipment. But hurry, supplies are limited and sure to go fast. ClubMac has fantastic deals on great new products for your Mac, including Griffin's SightLight, IRIS IRISPen Express, Pinnacle MovieBox DV Analog to Digital Video Converter, Feral Interactive XIII, Rain Design iLap 12" Notebook Rest and Stand, LaCie, 500GB Big Disk External FireWire 400/800 USB 2.0 Hard Drive, Hewlett Packard Color LaserJet 2550N, Sonnet PodFreq FM Transmitter, and much more. O'Reilly has great prices on many of its most popular Mac books, including "Inside .Mac," "Cocoa in a Nutshell," "Mac OS X Panther for Unix Geeks," "Dreamweaver MX 2004: The Missing Manual," "Digital Photography Hacks," and much more. Barring any critical bugs, this build will become the final version 0.8 in about a week. This release includes Multiple Identity support for Mozilla Mail, support for the /ignore command in Chatzilla, big improvements to Mozilla's pop-up blocking, and much, much more. The 1.7 branch will replace the 1.4 branch as the stable development baseline, with Mozilla Firefox and Thunderbird releases and the next major version of Netscape expected to be built from it. New Giga Designs CPU Upgrades Feature 1.5-GHz G4 for Apple Cube: Giga Designs is now shipping the fastest (1.5GHz) G4 processor upgrade available for the Apple Power Mac G4 Cube. The new M series G-celerator uses the latest G4 (7457) processor available. This new processor boasts a power consumption of up to 1/3 less than that of previous G4 CPUs and has a larger (512KB) on-chip L2 cache. The M series features a new multi-voltage power sharing architecture, in addition to the original user adjustable speed and processor voltage settings. This combination gives customers the ability to maximize the Cube’s performance while allowing for high performance graphics and storage devices. The new M series upgrades are assembled in the US and carry a three-year limited warranty. The 1.5-GHz model costs $599 and a 1.4-GHz model costs $499. DropDV Software Announced Release of DropDV 1.0: DropDV is a Mac OS X droplet which converts MPEG video into DV video streams. After conversion, your video can be edited in iMovie, Adobe Premiere, Final Cut Pro, or any other DV video editing system. A trial version of DropDV is free. The trial version adds a watermark to the DV output streams. To remove this watermark, one needs to purchase a registration key which costs as little as $19.99. Gefen Released Quad Video Monitor/Projector Adapter: When you need to supply multiple video monitors with the same computer-generated data, Gefen’s 1x4 VGA Hub comes in handy. It costs $199 which gets you the small metallic box that connects to the computer on one side and outputs to four VGA video monitors on the other side. Most computers are equipped with a maximum of two video outputs, but with the 1x4 VGA Hub, the same computer graphics can be sent to all four displays at multiple resolutions up to 1920x1200. Computers with an analog video graphics card that connect to the display through an HD-15 connector, a common computer connector, are compatible with the 1x4 VGA Hub as well as monitors, projectors and plasma displays with the same connector and cables. Simply designed for performance and ease, the 1x4 VGA Hub takes just seconds to install. It requires only a 5-volt external power supply (included) to drive all four video displays. Gefen’s 1x4 VGA Hub is available for purchase online at Gefen's web site or through a Gefen reseller, located around the world and listed online. ChatBarrier X3 Encrypts iChat Text Messages: Intego announced the launch of Intego ChatBarrier X3, a program that works in conjunction with Apple’s iChat instant messaging software to provide two-way, real-time encryption of text chats. Intego ChatBarrier X3 uses military grade 512-bit encryption that stops anyone from reading private messages. The "single" license (2 licenses) SRP is $39.95. Macworld Editor-in-Chief Jason Snell and Author Tom Negrino this week on The Mac Night Owl LIVE: Host Gene Steinberg will interview Jason Snell, Editor-in-Chief of Macworld. He'll also be talking with his long-time friend Tom Negrino, author of Take Control of What's New in Entourage 2004. Tom will also be giving you his views about the entire Office 2004 package. Tune into the broadcast from 6:00 to 8:00 PM Pacific, 9:00 to 11:00PM Eastern Time. Apple Computers is understood to be taking on 150 workers at present at its Hollyhill plant in Cork to meet demand for its new G5 computer range. Apple Photo Gallery--European iTunes Music Store Roll Out: Apple posted a web page with photos of its European iTunes Music Store kickoff. J&R has fantastic deals on essential Mac products, including Aspyr Media's Call of Duty, Blizzard's Warcraft III: Reign of Chaos, Brother CDP-8025D Digital Copier/Laser Printer/Color Scanner, Canon PowerShot A70 Digital Camera with Special Kit (includes charger, rechargeable batteries, and case), Encore Marine Aquarium 2.0, MacSoft's Mac Payne, and much more. Amazon has huge savings on top quality products for your Mac, including Aspyr Media's Harry Potter and the Chamber of Secrets, Roxio Toast 6 Titanium with $20 mail-in rebate, Curious Labs Poser 5, Microsoft Office 2004 Standard Upgrade with $30 mail-in rebate, You Software You Sychronize, Adobe Photoshop CS, Adobe Creative Suite Premium 1.1, and much more. MacMall has great deals on a bevy of Mac products, including ATI Radeon 9800 Pro Mac Special Edition, Apple Final Cut Pro HD with FREE 512MB of PowerBook G4 RAM, Griffin iTrip FAM Transmitter for iPod, Microsoft Office 2004 Student & Teacher Edition, M-Audio KeyStation 49E USB MIDI Keyboard, Microsoft Office 2004 Standard Edition/Symantec Norton Anti-Virus Bundle, and much more. Publishing Perfection has essential publishing and creative products for your Mac, including AutoFX Photo/Graphic Edges, Adobe Illustrator CS Upgrade, FontLab 4.6, ACD Systems Canvas 9 Professional Edition, Pantone Formula Guide Coated/Uncoated, Wacom Intuos2 Platinum Graphics Tablet, Epson Perfection 3170 Photo Scanner, SanDisk 256MB Compact Flash Card, and much more. Al Gore Never Really Claimed to have Invented the Internet according to a number of reader notes that we received yesterday in response to our article on Tim Berners-Lee, inventor of the internet's world wide web and who was finally recognized for his achievement with the $1.65 million Millennium Technology Prize. It's a myth they claimed and we have removed our quip. Here is a web page covering the issue. Indeed, we know for a fact that former senator and vice president Al Gore ardently supported the development and use of techology from both positions and helped significantly to get it funded through his leadership--that technology included the internet's infrastructure. The Power Macintosh G5 comes with one SATA drive, and an open bay to install one more drive. With Swiftdata 200 solution it is possible to add three more drives to this computer. A total of five Hard Drives can be mounted in the computer. These drives can be used as RAID Type 0 for archival backup and security, a Type 1 RAID for blinding speed (more than fast enough to capture 10 bit uncompressed video from your non-linear editing system), or as individual drives where large storage space is required, but the demand for speed is lessened. It can give up to 50mb/s data transfer per channel or 200mb/s as RAID. Trans International's SWIFTDATA 200 SATA internal storage solution takes Power Mac G5 to a new level of excellence. Maine Gov. Baldacci Still Pushing iBook Program for High Schools: Expansion of Maine's iBook program from 7th and 8th grade to 9th grade is not dead just yet according to this Times Record article. Gov. Baldacci has urged the state's school districts to go ahead and rent the necessary iBooks for $300 each with the promise that he will get the legislature to pay the bill when it comes due. A plan issued Friday by the Maine Department of Education said the governor has told Education Commissioner Susan Gendron to "leave no stoned [sic] unturned" to expand the state's middle school laptop program into the high school, recognizing the state has no money for it this fiscal year. The "Xbox Next" will use PowerPC-based architecture similar to the chipset powering Apple's G5 computers. That being the case, Microsoft's early "Xbox Next" development kits have been little more than modified Apple G5 systems pre-packed with "Xbox 2" emulation software. "I heard [Apple CEO] Steve Jobs found it pretty ironic and funny that Microsoft has been shipping Apple systems to developers," one studio source joked to IGN on the subject. FireWire Depot Announced Clustering for the eRAID RAID System: The eRAID System provides RAID levels 0, 1, 0+1, 3 and 5 or JBOD configurations featuring 1394a, 1394b, USB2.0 and Serial ATA connectivity on the rear of the enclosure. The eRAID system utilizes high-performance 64bit RISC processor, 64bit memory architecure, built-in 64MB SDRAM cache buffer and 66MHz/32bit path at burst rate upto 266MB/sec to control five (5) hot-swapt ATA-133 HDD (no size limited) with unprecedented performance whether Shared or Independent Volume configuring thru Serial ATA, USB2.0 and/or 1394a or 1394b connections. This system offers an SATA interface, but it uses IDE/ATA hard drives. It does NOT use SATA drives. You have the ability and choice to connect via 1394a, 1394b, USB2 or SATA. Clustering allows two computers to connect to the eRAID at the same time using different ports for connecting (ie. computer 1 connects via USB2 or FireWire and computer 2 connects via the SATA port on the eRAID system). The eRAID can accept 5 IDE hard drives of any capacity. It is always strongly recommended that all drives used in the system are the same capacity. Normal SRP for the eRAID system is $1499.99. Check current pricing online. How Does It Work? Class-Site maintains a database for each educator's individual classroom website. The educator manipulates the content of their classroom website database using a familiar Macintosh OS X user interface. When the changes are done, the teacher issues a single "Build Site" command, and the site is ready to use. Requires Mac OS X 10.1 or higher. USBVision for Mac OS X v1.1.1 is Out: EchoFX announced the immediate availability of USBVision For Mac OS X 1.1.1, software support for video digitizing devices including the XLR8 InterView, Belkin VideoBus and others. Version 1.1.1 is a maintenance release that restores the ability to play sound in the background, no longer interferes with iChat / iSight operation, and releases unused USB bandwidth when video is not present. Problems with Internet version checking when multiple devices are active have also been resolved. USBVision For Mac OS X 1.1.1 is free to registered USBVision For Mac OS X customers. The Server Administration Software contains administration software and tools that you can install on a computer other than your server. These tools require Mac OS X version 10.3 or later. The following tools will be installed into Applications/Server folder with the exception of QuickTime Broadcaster: Server Admin, Workgroup Manager, Server Monitor, Network Image Utility, Server Assistant, and QuickTime Broadcaster. Short Update--MoHAA Breakthrough Expansion Pack: With regard to yesterday's interim Hands-On Report, Aspyr responded to our emails to their Support by sending us a serial number so that we can now access multiplayer servers on line. We actually received three responses, all around 9 a.m. We'll post a follow-up Hands-On Report when we've had a chance to play Breakthough for a week or so. We also bought "Call of Duty" which in some ways seems superior to the MoHAA series--we'll report on it too. CDW|MacWarehouse has fantastic deals on essential products for your Mac, including the Nikon CoolPix 5700 with a $50 mail-in rebate when purchased with select Epson printers, Adobe Photoshop CS Upgrade, Kensington Saddlebag Pro Convertible Laptop Bag, Symantec Internet Security, Sony 256MB USB 2.0 Micro Vault, Magnet Media "Inside Mac OS X: Panther" Digital Media Training Series, Canon i9900 8-color Photo Printer, and much more. Eclipse and Mac OS X--A Natural Combination: The Eclipse IDE is a powerful, open-source, cross-platform, highly-extensible tool for software developers that has become popular among the Java community and elsewhere. This Apple article discusses why Eclipse helps make Mac OS X a great Java development platform. One can learn the basics of Eclipse on Mac OS X and how to download it for free and get started using it. Brief Hands-On Report--MoHAA Breakthough Expansion Pack: We are addicted to playing the 3-D game Medal of Honor Allied Assault (MoHAA) and the Spearhead expansion pack so we've been eagerly waiting for the Breakthrough expansion pack to come to the Mac from Aspyr. We got our copy last week and finally got it installed on our dual 2.0-GHz on Saturday but not without some difficulty and disappointment. We couldn't get the installer to work at first. We tried re-installing the basic MoHAA, which is required for the Breakthrough expansion pack, and installing it on another Mac. No dice. The installer would run but skip rapidly to the end. It gave no error message but Breakthrough was not installed. So we broke down and read the manual--the first note is that MoHAA must be updated to v1.14 to apply the Breakthrough update. After doing this, Breakthrough installed but it seems to us that Aspyr could have anticipated this problem since Spearhead plays fine without the MoHAA update so many people, like us, wouldn't even know there was a MoHAA update. It would have been nice to have included the update on the Breakthrough CD. The Breakthrough CD has to be in your optical drive inorder to launch Breakthrough just like the Spearhead expansion pack. This is a huge nuisance but it's Aspyr's way of fighting piracy. Launching Breakthrough brought up a dialog box asking for the CD key (serial number). The dialog box says it's on the CD case but it wasn't on ours. There's no CD key for MoHAA or Spearhead either. If we dismiss the dialog box without entering a CD key by clicking "cancel," we can play in single player mode but not on most servers providing on line multiplayer mode. In most cases, the servers returned an invalid CD key error message but curiously a few let us on. 1178: Medal of Honor: Breakthrough: Missing serial number. Issue: The white sticker with the serial number is not on the back of the CD jewel case. Discussion: Some of the boxes of Medal of Honor have been shipped out without a serial number. If your copy doesn't have a serial number, please contact Aspyr support for assistance at support@aspyr.com. In the meantime, when the game asks for the serial number, press the Cancel button and you will be able to fully play the single player game. Serial numbers are only used for multiplayer. We emailed Aspyr Support but we've not received a reply as of publication time. Among the few team deathmatch multiplayer servers we were able to get on, most were running the Palermo map or Monte Battaglia map. The latter had several places where we could walk through the map's edge and get lost "behind" the scene. So far we are disappointed with the install and CD key glitches and the quality of one of the maps we've played on line. Hopefully, Aspyr will fix these problems soon. iTrip mini FM Transmitter for Apple's iPod mini is Shipping: Griffin today announced the iTrip mini FM Transmitter for Apple's iPod mini has begun shipping, one month earlier than originally announced. The iTrip mini is the first and onlly FM transmitter made exclusively for the iPod mini. The iTrip mini brings the entire list of iTrip features to the iPod mini in a new, form-fitting mini design. The iTrip mini is $39.99 and available directly from Griffin and at the Apple Store. Apple is pleased to offer hands-on Enterprise IT Training classes, at no extra cost, to attendees during the week of WWDC 2004. Training topics include Directory Services, Client Management, Cocoa programming, and WebObjects programming. Only registered WWDC 2004 attendees are eligible to participate. Classes will be conducted by Apple trainers and each will run for either 1 1/2 or 2 hours, depending on curriculum. Workstations will be supplied by Apple. Seating is limited and registration is first-come, first-served, so sign up today. Don't forget about the Apple and Scientific Computing session taking place on Tuesday, June 29. This session is a perfect opportunity for scientists and researchers to kick off the week by learning how Apple products are driving momentum in scientific markets. Get ready for a great week at WWDC 2004. We look forward to seeing you! WWDC 2004 Exhibit Fair Nearing Capacity--Less than 15 Spaces Left: If you are planning to book your exhibit space for WWDC 2004, the time is now! WWDC is the definitive event for programmers, IT managers, content creators, systems administrators or anyone who wants to make the most out of Apple's innovative technologies and the robust and flexible Mac OS X platform. The Exhibit Fair is designed for vendors to showcase their newest technologies and services to the worldwide Mac developer community. Apple's WWDC Exhibit Fair is a hot spot and has been a sell-out exposition for the last three years. Call Susan directly at 805-435-1004 or send mailto: reservations@xplain.com today! There are less than 15 spaces remaining and ALL EXHIBIT SALES will close Friday, June 18th. Truly Hassle-Free Upgrade--Apple simplicity lets you add a Power Mac G5 to your creative studio without days of downtime configuring a new system. The new Mac OS X setup assistant helps you effortlessly move user accounts, system preferences, documents and applications from an old Mac to a new Power Mac G5  and the transfer is FireWire fast. Basically, the Setup Assistant on the new Power Mac G5 prompts you to boot your old Mac into FireWire disk mode, assuming it is recent enought to do so, and connect it to the new one with a FireWire cable. Then Setup Assistant walks you through transfering files from your old Mac to the new Power Mac G5. This is basically what we do each time we get a new Mac but it will be nice to have Setup Assistant to make the process easier. Apple Announced New Power Mac G5--Dual 2.5 GHz, Liquid Cooling, ATI Radeon 9600 XT and 8X SuperDrive: Yesterday, Apple announced a new top-end Power Mac G5 (PMG5) which raised the maximum CPU speed to 2.5 GHz and this model gets two of them at $2999. In fact, all three PMG5 models are now dualies with the other two models getting the dual 1.8 ($1999) and 2.0 GHz ($2499) G5 CPUs of the previous mid- and top-end models. The new top-end PMG5 also gets a redesigned cooling system which includes liquid cooling and an improved base graphics card, an ATI 9600 XT. All Power Mac G5s get 8X DVD-burning SuperDrives. When the PMG5 was introduced last June at WWDC 2003 by Steve Jobs in his keynote address, he announced to a huge applause that the G5, maxed then at 2.0 GHz, would reach 3.0 GHz by the summer of 2004 approaching the 3+ GHz of Intel CPUs. Well, the newest PMG5 closes only half the gap but it still represents a 25% increase, a significant increase. According to Apple's speed tests, the new dual 2.5 GHz PMG5 beat a 3.4 GHz Pentium 4 by nearly 100% on Photoshop operations where speed is money. It also beat a dual 3.2 GHz Intel Xeon PC by over 70%. The new PMG5 also demonstrated similar performance superiority over top Intel boxes in video, imaging, audio and bioscientific processing. All this power creates heat and the new dual 2.5 GHz PMG5 has a new cooling system design, including liquid cooling for the G5 CPUs. It still uses 9 quiet fans in four "zones" contolled by many heat sensors but the lower case where the CPUs are looks cleaner. The new ATI 9600 XT base graphics card is better that the 9600 Pro that came with the former top of the line 2-GHz model. It's faster and has more VRAM (128 vs 64 MB). The optional 9800 XT is faster and has more VRAM (256 vs 128 MB) than the previous optional 9800 Pro. The new dual 2.5 GHz model will be available in July. The dual 1.8 and 2.0 GHz models are available now. Apple Released iTunes v4.6 as we noted on Tuesday in our article on Apple's AirPort Express. What's new in iTunes 4.6? Well, iTunes 4.6 includes support for playing your music off your Mac wirelessly using AirPort Express with AirTunes. It also includes a number of other minor and unspecified enhancements. Apple's Workgroup Cluster Award Program Application Deadline is this Sunday: According to a note from Apple, Sunday, June 13 is the deadline for applications for the Apple Workgroup Cluster for Bioinformatics award program. Apple will award five fully-provisioned 8-processor Apple Workgroup Clusters through an open call for applications in the United States. The details of this program are on this Apple web page. B&H Photo/Video has great deals on quality products for your Mac, including the Sony Cybershot DSC-W1 5.0 MP Digital Camera, Extensis Portfolio 6.1 for Mac, Canon PowerShot S60 5.0 MP Digital Camera, SanDisk 1GB Memory Stick Pro, Epson Stylus Photo R800 Inkjet Printer, LaCie Electron 19 Blue IV 19" Diamondtron Natural Flat CRT Display, Nikon Super CoolScan 5000 ED 4000 dpi 35mm Film Scanner, and much more. CompUSA has fantastic savings on essential Mac products, including Roxio Toast 6 Titanium with $20 upgrade rebate, Iomega CD-RW/DVD-R Combo Drive with $30 mail-in rebate, Intuit QuickBooks Pro 2004 with $100 mail-in rebate, Canon i900D Photo Printer with $40 mail-in rebate, Nikon CoolPix 5700 Digital Camera with $150 mail-in rebate, and much more. Other World Computing has great prices on upgrades for your Mac, including the OWC 200GB Mercury Elite External FireWire Hard Drive that includes cables along with Dantz Retrospect and more, Micro-Solutions RoadStor All-in-One Photo to CD Burner and Digital Photo Viewer/DVD Player, OWC 2-port FireWire /3-port USB 1.1/2.0 PCI Combo Card, and much more. ...as well as some other smaller, earlier enhancements. Former Apple CFO Fred Anderson Joined Apple's Board of Directors: Fred Anderson was Apple's Chief Financial Officer for eight years after being hired by former CEO Gil Amelio. Anderson was one of the few Amelio hires to be kept on after Amelio was fired and Steve Jobs retook the CEO helm. He retired from Apple on June 1 and was replaced by Peter Oppenheimer. Anderson also sits on the boards of eBay and E.piphany according to this Apple press release. Mac OS X will now present an approval alert when an application is to be run for the first time either by opening a document or clicking on a URL related to the application. Description: Security Update 2004-06-07 delivers a number of security enhancements and is recommended for all Macintosh users. The purpose of this update is to increase security by alerting you when opening an application for the first time via document mappings or a web address (URL). For more details, including a description of the new alert dialog box, please see this Apple web page. * Mac OS X v10.3.4 "Panther"
* Mac OS X Server v10.3.4 "Panther"
* Mac OS X v10.2.8 "Jaguar"
* Mac OS X Server v10.2.8 "Jaguar"
Discussion: LaunchServices is a system component that discovers and opens applications. This system component has been modified to only open applications that have previously been explicitly run on the system. Attempts to run an application that has not previously been explicitly run will result in a user alert. Impact: The disk:// URI type mounts an anonymous remote file system using the http protocol. Discussion: The registration of the disk:// URI type is removed from the system as a preventative measure against attempts to automatically mount remote disk image file systems. Discussion: The "Show in Finder" button will now reveal files in a Finder window and will no longer attempt to open them. This modification is only available for Mac OS X v10.3.4 "Panther" and Mac OS X Server v10.3.4 "Panther" systems as the issue does not apply to Mac OS X v10.2.8 "Jaguar" or Mac OS X Server v10.2.8 "Jaguar". Impact: Attempts to use a telnet:// URI with an alternate port number fail. Discussion: A modification has been made to allow the specification of an alternate port number in a telnet:// URI. This restores functionality that was removed with the recent fix for CAN-2004-0485. Apple Introduced AirPort Express with AirTunes: Connect to the internet, print and stream iTunes all wirelessly with Apple's new AirPort Express. With it you can enjoy your iTunes music library in virtually any room of your house, share a single broadband Internet connection at a fast 802.11g speed and USB printer without inconvenient and obtrusive cables, create an instant wireless network on the go and extend the range of your current wireless network. AirPort Express can do all that in a tiny 6.7-oz package for only $129 and it will be available in July. AirPort Express needs iTunes v4.6 which is expected to be available for download later this week. Wow! We have been hauling around an original Apple graphite AirPort Base Station for years to get wireless internet in hotel rooms. Most hotels that we currently frequent have high speed internet connections so soon we will have a small 6.7-oz AirPort Express to replace our AirPort Base Station. Here is Apple's press release. O'Reilly Released "Google: The Missing Manual." Most of the time, when you run a Google search, it simply works. You type in The Simpsons, press Enter, and you've got all the character bios, episode guides, and Bart hood ornaments you could ever want. That's the beauty of Google. But what about when you want to find something trickier? Say you're a journalist writing a story on deadline for tomorrow, and you need a quote from an expert in negotiations. You have two potential sources but neither of them is returning your calls. A friend, however, recently raved about a negotiations trainer his company brought in from a place called something like Watershed Consultants. So you run a search for Watershed Consultants ...and Google gives you 120,000 results--all about saving ecosystems and revitalizing rivers. Your friend is on vacation, and your story can't wait. What do you do? Naturally, you pick up a copy of "Google: The Missing Manual" (O'Reilly, US $19.95) by Sarah Milstein and Rael Dornfest, and almost instantly, you find what you're looking for. From search tricks and efficiency tools to little-known corners of Google, the book includes everything you need to find high-quality information in a hurry. MacZone has great deals on essential products for your Mac, including the MacZone Trade Up Program whereby you can receive $750 cash back when you trade up to a new Apple system, Acomodata 60GB 7200RPM External USB 2.0/FireWire Hard Drive, Adobe Expert Support, Extensis Suitcase/Symantec Norton SystemWorks Bundle, FujiFilm CDR 48x 80Min. 50-pack recordable media, Now Software Now-Up-To-Date and Contact, and much more. CDW|MacWarehouse has fantastic savings on an array of products for your Mac, including the Epson Stylus CX4600 All-in-One Device, Wacom Intuos2 Platinum 6x8 Graphics Tablet, Canon i990 8-color Photo Printer, MicroMat TechTool Pro 4, Kensington SkyRunner Computer Backpack, Maxtor One Touch 250GB External FireWire Hard Drive, and much more. Sweetwater has great deals on top quality music and audio products for your Mac, including Digidesign Mbox, M-Audio MidiSport 1x1, Event Tuned Reference 5 Monitor Speakers, Rode NT1-A Microphone, Edirol UR-80 Control and Audio Interface, Propellerheads Reason, Ableton LIVE, Bias SoundSoap, and much more. QuickTime and Digital Speakers at WWDC 2004 Announced by Apple: With a speaker list that includes fourteen industry luminaries and pioneering technologists as well as Apple’s own technical experts, the QuickTime and Digital Media track is an unparalleled opportunity to learn from some of the most respected digital media practitioners in the world. Check out who's talking about what from this Apple web page. See Who's Exhibiting at Apple's WWDC 2004 Exhibit Fair: With more than 70 vendor booths planned, Apple's Worldwide Developers Conference 2004 Exhibit Fair is the place to see the latest products, services, and technologies for developers on the Mac platform. The exhibits open Monday afternoon, June 28 and run through Wednesday, June 30. The reception hosted by the Apple Developer Connection in the Exhibit Fair area is on Monday evening. Check out who's exhibiting from this Apple web page. Old Jewel Software Released LazyMouse version 1.0.3: LazyMouse is a Preference Pane that moves the cursor to the default button whenever a dialog box appears on the screen. In other words, it will save the user time moving the mouse to dismiss dialogs. Fixed a bug that caused some users to not be able to open the Universal Access Pane. Cleaned up some of the registration reminder code. Made some changes to the registration reminder window. LazyMouse is shareware. All features are available without registering, but users will be reminded regularly until they choose to register LazyMouse. A single user license costs $6.85 US. GoBetween--Sync M$ Entourage Data with iSync: PocketMac GoBetween is the first-ever automated iSync plug-in to allow Entourage users to sync their crucial data to iSync-supported phones and devices. This has been one of our most popular requests from users who love the power and compatibility that iSync brings to their Mac, but want to extend that technology to their Entourage PIM data. Republic: The Revolution goes Gold. For all you wannabe political leaders the future is looking good. Aside from the day-to-day goings on of political rallies and canvasing here in the UK, Novistrana is getting ready for the release of the Mac version of Republic: The Revolution. Having been declared a Gold Master by us it'll be marching into production in a matter of days. Journalists from the country's leading tabloid: The Novistrana Observer - based in the capital, Berezina - state that the forthcoming release should hopefully put their illustrious country back on the world map. If it doesn't, they threatened to recall all copies produced and threaten a small country with invasion. Well folks, you can take it from us, we won't let that happen. In a matter of weeks, you'll be able to take power of Novistrana. By any means necessary. Oh, and from today, if you're keen, you can pre-order Republic from our online store. XIII Demo - Days to go! News just in! All you paranoid conspiracy theorists are in for a treat, as the demo of XIII will be hitting web servers some time next week. Soon all you PCTs and FPS fans will have your chance to test out two levels from the full game. In the first level, wake-up feeling a bit worse for wear on the beach with a few nasty people who want you dead! In the second level of the demo, you must rescue General Carrington. He's the only person who can help you find out who you really are. Stay tuned to get your chance to download and play the XIII demo. The Apple Store has a new 90 Days Same As Cash promo. That means you could get the Apple system of your dreams for as little as $17 per month with no payments until September 2004 and an annual percentage rate as low as 9.99%. Amazon has great deals on a wide array of products for your Mac, including Dreamcatcher Interactive's Riddle of the Sphinx 2: The Omega Stone, D-Link DI-624 2.4GHz AirPlus Xtreme G 108Mbps Wireless Router, Viking 128MB CompactFlash Card with $20 mail-in rebate, Nova Development Greeting Card Factory, Microsoft Office X 2004 Professional Edition, Brother MFC-3420C Color Multifunction Device with $30 mail-in rebate, Altec Lansing inMotion Portable Audio Speaker System, and much more. MacMall has fantastic prices on essential Mac products, including ATI's Radeon 9800 Pro Mac Special Edition, Riverdeep Print Shop for Mac OS X/ClipArt & More Bundle, Griffin iTrip FM Transmitter for iPod, Aspyr Media Shrek 2: The Game - The Adventure Continues, Hewlett Packard PhotoSmart R707XI 5.1 Megapixel Digital Camera, M-Audio Keystation 49E USB MIDI Keyboard, Monster Cable iCarPlay Wireless FM Transmitter for iPod, and much more. Publishing Perfection has everything for your publishing needs at great prices, including AutoFX Photo/Graphic Edges, Adobe Photoshop CS Upgrade, Alien Skin Image Doctor, Pantone Ultimate Deal with FREE Metallic Guide, Nova Designs Cinematte for Photoshop, Minolta DiMAGE Scan Multi Pro, Epson Stylus Pro 4000 Color Professional Printer, and much more. O'Reilly has great deals on many of its most popular Mac titles, including "Dreamweaver MX 2004: The Missing Manual," "Mac OS X Panther for Unix Geeks," "Digital Photography Hacks," "AppleScript: The Definitive Guide," "iPod & iTunes: The Missing Manual, 2nd Edition," and much more. This software update provides improved AirPort Extreme wireless networking software and is recommended for all customers with an AirPort Extreme enabled computer. O'Reilly Released "Inside .Mac" by Chuck Toporek: According to O'Reilly, with Mac OS X as a foundation, Apple's iApps and iLife technology has coalesced into a "digital hub," an interconnected set of tools that helps users store and organize photos and music, entertain the kids, stay in touch with significant others, and even assist in running a business. To take this information to a higher level, Apple created .Mac (pronounced "dot Mac"), a suite of services that allows subscribers to share information online. While .Mac hasn't received the same attention as its more glamorous i-cousins, it's endowed with the same traits: an attractive, intuitive interface and a wealth of powerful features, including web mail, an online contact management system, storage space, a fully customizable personal web site, and much more. About the only thing missing from this embarrassment of riches is a thorough guide. "Inside .Mac" by Chuck Toporek (O'Reilly, US $19.95) is just that, the first--and only--manual that delves deep into .Mac. We've redesigned the [Learning] [C]enter to make it easier to see what's available and added a wealth of fresh content. The new comprehensive .Mac tutorials cover all the .Mac software and services. The iLife tutorials now present what's new in iLife '04, including the exciting new GarageBand application. The Keynote tutorial can help you take your presentations to the next level of polish and persuasiveness. We've also revamped the .Mac Support pages to make them more informative and helpful as well. From their new home at www.apple.com/support/dotmac/ they continually provide .Mac System Status information and one-click access to newly designed pages for each of the major parts of .Mac. The new pages clearly present the frequently asked questions and their answers, and provide a "Still need help?" email form at the bottom for further assistance. We encourage you to take a quick tour of the new .Mac Learning Center and Support pageseven if you don't have a burning question right at the moment. There's a good chance you'll pick up a tip or idea you hadn't thought of, and it will help you know where to head next time you do have questions. Beginning June 12, Saturdays in June are .Mac days at CompUSA. Demonstrations at noon and at 12:30 p.m. will cover how to create an online photo album with HomePage, how to protect your Mac from data loss and viruses, how to share and access files online with iDisk, and more. The first five people at each event receive a free gift and there will also be special in-store savings available for everyone. Click here for details, including a list of participating stores. Improve Your Presentation Skills. Watch this free online seminar and find out how to improve your presentation skills. O'Reilly Released "BSD Hacks" For BSD-based OS's Like Mac OS X: According to O'Reilly, in the world of Unix operating systems, the various BSDs come with a long heritage of high-quality software and well-designed solutions, making them a favorite OS of a wide range of users. From budget-minded users who adopted BSD early on to developers of some of today's largest Internet sites, the popularity of BSD systems continues to grow. If you use the BSD operating system, you know that the secret of its success is not just in its price tag: practical, reliable, extraordinarily stable and flexible, BSD also offers plenty of fertile ground for creative, time-saving tweaks and tricks. "BSD Hacks" (O'Reilly, US $24.95), by Dru Lavigne and a contributing team of trainers, developers, hobbyists, and administrators, offers a unique set of practical tips, tricks, tools--and even fun--for administrators and power users of BSD systems. Griffin Announced iTrip mini FM Transmitter For Apple iPod mini: Griffin Technology Inc. announced the iTrip mini FM Transmitter for Apple's iPod mini. The new iTrip mini joins the iTrip line as one of the hottest iPod accessories in the world. The iTrip has unlimited station frequencies tuned directly from the iPod and battery-free iPod mating design. The iTrip mini brings the entire list of iTrip features to the iPod mini in a new, beautifully form-fitting mini design (see at right). Shipping in July, the iTrip mini is $39.99 with pre-orders being taken now. He [Apple's iLife product manager Greg Scallon] presented an iLife session at this year's Photo Marketing International trade show in Las Vegas, which draws both still photographers and videographers. "I showed them how to build projects in iMovie and iPhoto, and then how to output them to DVD with iDVD," he says. "A small percentage was thrilled. The rest were just dumbfounded, as if the possibility of doing all this had never occurred to them before." Dr. Bott Announced MoniSwitch Pro ADC for Sharing Apple LCD Displays. MoniSwitch Pro ADC is a KVM switch that allows the sharing of Apple Flat Panels with an ADC (Apple Display Connector) between four computers. MoniSwitch Pro ADC is compatible with Apple's Flat Panel Displays that incorporate the Apple Display Connector including the very impressive 23" Cinema Display. DVI displays can also be used with an adapter like DVI Extractor II. Any computer with a built-in ADC connector or compatible DVI video card with a DVI to ADC adapter such as DVIator can also be used. MoniSwitch Pro ADC retails for $399.95 and is shipping today through Dr. Bott authorized resellers worldwide. Includes changes to font smoothing, field validation, merge fields, import and more. We updated our copy with no problems and it checked out on a few of our databases. CDW|MacWarehouse has fantastic prices on a variety of products for your Mac, including the Canon ZR-80 Digital Camcorder, Intuit Quicken 2004, Griffin Technology iTrip FM Transmitter for iPod, Epson Stylus Photo R300 Color Inkjet Printer, palmOne Zire 31 Handheld Device, Belkin Voice Recorder for iPod, SimpleTech 256MB Full Speed USB 2.0 Flash Drive, and much more. J&R has money-saving deals on a wide array of essential Mac products, including the Canon PowerShot Pro 1 8.0 Megapixel Digital SLR Hybrid, MacSoft Unreal Tournament 2004, Microsoft Office 2004 Student & Teacher, Nikon CoolPix 8700 8.0 Megapixel Digital Camera, Creative Labs TravelSound i300 Speaker System, Shoreline 13151 Laptop Sleeve, Dane-Elec 256MB Secure Digital Card, and much more. ATI Announced New PCI Express Graphics Chips and Mobile Graphics Cards: Yesterday, ATI announced its new X-series graphics chips (now called visual processing units or VPUs) for the PCI Express slot, a faster slot than PCI or AGP. ATI also announced its mobile PCI Express upgrade cards for laptop computers. Will Apple adopt this technology in its next series of Power Macs and PowerBooks? We certainly hope so. Macromedia's Flashforward2004 Conference Registration is Open and available from this web site. It takes place in New York, July 7-9, 2004. Flashforward is a Flash film festival for Flash developers. Save $100 by registering by June 11th. Mac OS X 10.3.4--How Fast Is It? As background, we have benchmarked every version of Mac OS X (except 10.3.1, a quick fix) starting with 10.0 because its speed has been the source of its biggest complaint, one that has persisted right through Jaguar's last version, 10.2.8. Apple made some progress with a couple of 10.0.x updates and with 10.1 and 10.2. But, as we noted in our last Jaguar benchmark, all of the Jaguar versions through 10.2.8 were basically the same speedwise. Our previous speed test of Panther (10.3) in October concluded that it was much faster in some very important aspects than the last version of Jaguar, 10.2.8. Panther's latest update is 10.3.4 so just how fast is it? We ran our complete suite of speed tests on 10.3.4, consisting of a number of "canned" benchmarks and several so-called "real world" tests. They are described in detail in our G4 Cube 1.2-GHz upgrade review and are simple enough for anyone to repeat on their own Mac for comparison. We have used a completely stock 450-MHz G4 Cube (except for the 704 MB of RAM) for all of our speed tests of Mac OS X. We included the results from our dual 2-GHz Power Mac G5 with 1.5-GB RAM to illlustrate just how much faster Apple's fastest Mac of today is against a G4 from four years ago. The previous Mac OS X speed tests with our G5 used an after-market retail ATI RADEON 9800 Pro graphics card instead of the stock 9600 but our 9800 recently gave up the ghost. Speed Tests (average scores or secs). *Using the stock ATI RADEON 9600 Pro graphics card--previous tests used a RADEON 9800 Pro. **First number is after upgrade and second number is after applying SpeedStart. In comparison with the last Jaguar version on our stock G4 Cube, Panther is much faster in 2D graphics (Xbench Quartz Graphics) and in finder operations (Xbench User Interface). This continues in 10.3.4 but no faster than previous Panther versions. Startup in our G4 was also much faster with Panther 10.3 than with Jaguar 10.2.8 but the 10.3.4 update like 10.3.3 and 10.3.2 slows down the startup time significantly from 10.3. At least SpeedStart 0.1 is no longer needed since 10.3.3. Disk performance also seems to be slightly poorer with the 10.3.4 and 10.3.3 updates than 10.3.2--this may reflect aging in the original drive. There is a continued improvement in 3D graphics (Quake III Arena), i.e. 34 fps vs 21 previously in 10.3. The dual 2-GHz Power Mac G5 speed tests with 10.3.4 illustrate the superb performace of the current top of the line Mac. There's virtually no comparison in the benchmarks between the Cube and the G5 and in most of the so-called "real world" tests. Surprisingly, though, the G5's startup time (chime to complete desktop) is only a second or two faster than the G4 Cube's. In summary, the speed of the Mac OS X 10.3.4 update is virtually identical to that of 10.3.3 and 10.3.2 in all tests. 10.3.4 is slower at startup by our measurements than 10.3 like with 10.3.3 and 10.3.2 but it does not need the SpeedStart patch like 10.3.2. People have posted to the web that 10.3.4 seems faster than 10.3.3 but it is likely that they are just noticing the benefits of a fresh install and reboot. We've had no problems with the 10.3.4 update. However, it does not fix some significant problems like dropping the AirPort Extreme connection in PowerBooks with more than 1 GB of RAM.